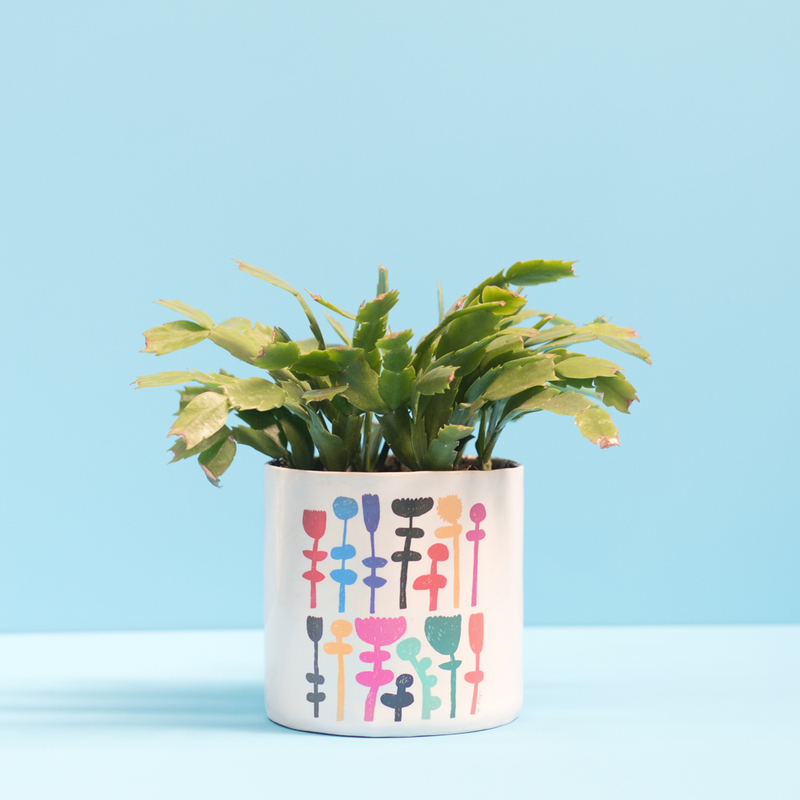 They’re on a mission to bring together the best illustrators in town with a new home for your plant friends. plernters is the brain child of Sydney ceramicist and illustrator Bea Bellingham, self-confessed plant obsessive. Each porcelain plernter is hand finished by Bea and her team in her Marrickville studio. Their extra kiln firing ensures these illustrations aren't going anywhere - yep, they're all weather and scratch resistant. No more disappointing plant pots that fade or scuff. Get your very own Claire Ritchie plernter right here! Bea Bellingham is a Sydney based designer known for her distinctive playful patterns and designs. Her hand built ceramics focus on bringing fun and humour into our everyday environments through thoughtful homewares and versatile jewellery. Created predominantly in porcelain, each ceramic item is lovingly hand-cast and hand-glazed by Bea and her team. With an emphasis on creating delightfully askew and perfectly imperfect results, every piece is a truly unique work. The owner is able to experience the textures and brushstrokes that formed their new item, knowing they are the only person to own that exact form and pattern.